Google India conducted a multi-city road show to help Bloggers and online content creators leverage video as an alternative means of expression to complement text/graphics. 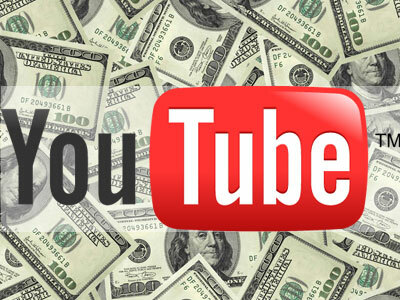 The session also highlighted the YouTube Partner Program and revenue sharing model. I attended the session in Bangalore on June 16, 2012. This post is a summary of key points and some of the related thoughts that my mind pondered over. Google is of course, the undisputed leader among search-engines. It is relatively, lesser known that YouTube happens to be the second largest (not Bing or Yahoo). These are some of the India specific numbers that the G-Team shared (as of June 2012). Value proposition: What really stands out from these data points is that YouTube reaches out to wealthy young Indians. It has been able to engage the audience more effectively (25 mins) than any other contemporary channel and an overwhelming majority (86%) connect to YouTube when they are relaxed (at home). Furthermore, every time you visit YouTube to watch a video of your choice, statistics say that you will almost certainly watch 6-10 more videos that Google suggests you. Now that's a terrific proposition. Both for entertainment and business; there is enough money to be made. Who owns the content? Who makes the money? Suppose, you come up with a cute-cat-video or the next best thing to Kolaveri-Di and upload on YouTube. If your video can get a million views, can you encash that creativity of yours into some hard cash? Can you host advertisements on your video and make some cash? Do you need Google's permission? Also, it is interesting to note that Google too cannot place random advertisements on all videos on YouTube. Because, user-uploaded videos are Intellectual Property (IP) of the user and Google cant make money out of its popularity without the user's consent. Here's the common ground. This is the deal that Google offers. "You post interesting videos; we will place relevant advertisements on them. Let's split the revenue in 55:45. Users get the larger share. Oh yes, you'll have to sign up for the partner program"
Well, the Google team took additional efforts to emphasize that revenue sharing model is standard across the globe and the company does not negotiate on this. Here's a video on the partner program. One can sign up for the partner program through the link below. 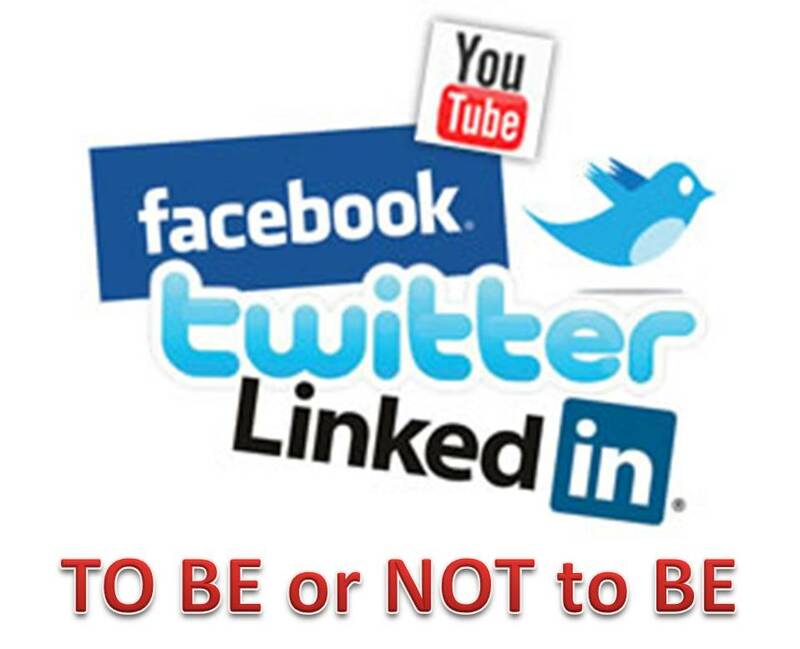 When it comes to Social media, to be or not to be; that is no longer the question. The relevant question is, Can you afford to be yourself? My 19 year old cousin was telling me the other day why he likes Facebook. He said that he could call ‘spade a spade’ and his bunch of friends on Facebook would understand. He added that FB and Blog were his personal space and mature people would respect it. I wish, I could tell him it were true. Or better, I wish it were true. But we know better. Don’t we..
Once upon a time in a distant land, there used to be a king. To break the monotony of observing protocols and living a life that conformed to the public scrutiny, he used to make occasional private trips to the nearby jungle. In the jungle for that brief time, he had his personal space. He yelled the unacceptable; sang the forbidden tune; behaved irresponsible and cared for no one. In the unknown and unexplored jungle he relieved his thoughts and feelings that would otherwise remain oppressed. After a brief while he would promptly return to his noble lifestyle. In a way, his brief jungle stints complemented his nobility and helped him have a balanced and satisfied life. Fast forward to Zuckerberg era. The world has come a long way from Hotmail Ids and Yahoo chatrooms. The jungle of WWW and Social Media is significantly explored and manipulated. The jungle is replete with artificial flora and fauna and creatures pursuing personal agenda. The landscape is full of invisible eyes and ears that is forever trying to identify patterns and make sense out of your random behaviors. It will be quite a sight when my cousin grows up to realize that the SPADE was monitoring his conversations all the while he called it Spade and his FB friend list will inevitably include his managers, customers and clients. The irrefutable law of the digital age states that, ‘google empowers everyone equally’. Think about it. If you can know a thing or two about the company before you walk into that job interview, be assured the company knows just as much or even more about you. With all the information that is available online, how would one understand and and interpret people and organizations? It stands to logic that one gets judged based on your actions. The most consistent online actions are considered behavior; over which opinions are formed and judgment passed. A good anomaly that I can draw is between the credit rankings as applicable to the banking system and the reputation of a person/organization in the digital world. Just as banks decide ones credibility based on verifiable credit history so do people form an opinion based on your presence/actions on digital space. The set of your actions and coherence in your expressions are vital ingredients to forming an opinion. So, the bigger question is, will you protect your opinions on the online space; choose to hide or do you seize the opportunity to build yourself a formidable reputation? Life reminds us of it's invaluable lessons in mysterious ways. 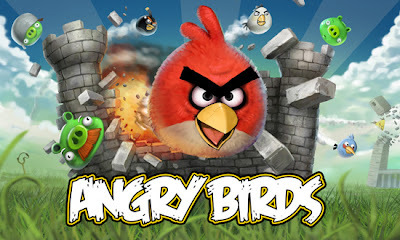 I refreshed my lessons at this addictive game of Angry Birds. 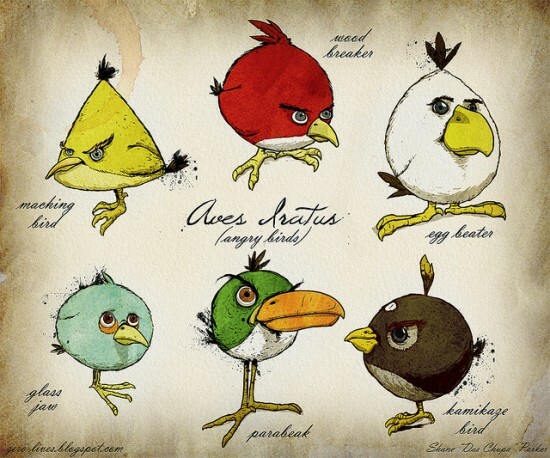 If you don't know what it is, it may help to read one of my earlier posts 'Angry Birds - The addiction'. Pretending that the problems don't exist and procrastinating has never helped. The first step is to acknowledge the problem and understand it. As Robert Frost has said, "The best way out of a difficulty is through it". The obstacles come in different forms; just as wood, steel and glass in the game. Also, they could confront us as one big challenge made up of all the individual obstacles. The key to success is playing by one's strength. To do that one has to know his cards well. Invest time in understanding your key strengths. Just like a piano; once tuned cannot be played forever. It requires tuning often to be in the best of shape. Hone your strengths frequently. There is a bird for every obstacle just as there is a work around for every problem in life. However complex the obstacles look, there is always a way to overcome them. The trick is to breakdown the challenges into its constituent obstacles and address each one with the appropriate means. It is not hard to understand that the different obstacle takes different approach to beat. Play to your strengths. Break the wood, splatter the glass or blow up the concrete - use the appropriate means for each problem. Somewhere hidden among all the rubble and chaos are opportunities in our lives. Just the kind that can make your life far more exciting and easier. Keep an eye out for them. Make that extra effort to get them. Nailing these opportunities will help in achieving more than what is seems possible. One hammer has never fit all the needs; however big it may be. In a team game one has to play with their strength and towards the common goal. Use your birds judiciously. Every bird has a purpose and the key to winning the game lies in approaching the obstacles in strategic moves. Have you had a feeling that you've been trying hard but the results aren't coming. Are you struck in that elusive rounds wherein, you've felt that there ought to have been one more bird at hand. What will you do in life if you were in one such situation. Will you push it or simply quit? What we persevere at becomes easy. Not that the task becomes easier; our ability to do so gets increased. 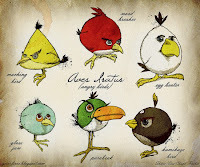 If one thing that Angry Birds teach us is that there is more than one way to do things. It is perhaps the best take away from the game. The feeling of learning an easier way to accomplishing things is invaluable; more so after persevering hard at something. In a way, perseverance leads to innovation. All said and done; its just a game. Lie too, in the end, is not worth taking too seriously. Try not to control everything in life. Let go; explore things and enjoy the ride. Play safe and enjoy your game .. er.. your life. Of all the flightless birds that there are in this world, two have found extraordinary recognition. Dodo for getting extinct; Angry Birds for seeming to live on forever. The game was launched in December 2009 on Apple's iOS platform at an initial cost of 100,000 Euros. The game went on to become Apple's top selling paid application by mid 2010. It gets downloaded more than 1 million times within 24 hours of its release on Android Market. The makers of the game generate over USD 1 Million in revenues every month from the advertisements in the free version for Android. The success of the game is unquestionable. What makes it so popular? The first and foremost reasons for the widespread adoption is the availability of the game itself on all possible platforms. Rovio ensured that there is a version available for every possible platform that there could be - Windows, MAC, iOS, Andriod, PSP etc. The enthusiasts could easily identify a version appropriate for their device easily. A valuable lesson for marketing folks - The goods ought to hit the stores before you spread the word across. The good ought to be on the shelf, before you tell me so on the television. Remember the time when you had bought a new game but realized that processor had to be upgraded, the RAM capacity had to be increased or an advanced graphics card to be inserted ? Well, Angry Birds isn't gonna throw up one such scenario. The game does not require heavy processing or display infrastructure. The game is very easy to understand and play. 5 minutes of fiddling and you'll know all there there is to know about it. 15 mins into the game and you get addicted. As simple as that. There are not too many input parameters to control or master. There is just one sling and a handful of birds. The best part is that the entire game lays before you in one viewing frame unlike many other strategy games that require you to understand a large landscape to play efficiently. The game does not impress you through its visual extravagance or adrenaline boosting. It gets you hooked through witty challenges bundled in a simple layout. The more the one plays the game, he will understand that Angry Birds is more than just hurling birds at pigs. The little challenges to slingshot the appropriate bird against the right obstacle (Wood, Glass, Metal) keeps one interested. Now, you read about what I like the most about this game. Do let me know what aspect of it has got you hooked to it. Soon after the ape man built himself a house and took to farming he craved to be heard and understood by his neighbor. Since then human beings have yearned too much become social beings. To be known, heard, understood and accepted has always been a top priority from then on. Socialization can be defined in the traditional sense as the “process of accumulating skills and habits necessary for participating within their own society; one that is formed through a plurality of shared norms, customs, values, traditions, social roles, symbols and languages”. For long, the social networking was only possible through personal interactions. Any form of communication demanded the people to be physically present. The concept of reaching out to masses with an idea/information was inconceivable and hence non-existent. It can easily be understood why it took ages for civilizations to evolve. In 1943, Abraham Maslow published his research ‘A theory of Human Motivation’, wherein he explained that the ‘Sense of Belonging’ and ‘Being Accepted’ by fellow men is actually a human need that forms the basis for holding a good self-esteem. With the advent of mass communication system and in particular the TV challenged the accepted model of social networking. For the first time an idea/opinion could be shared with people at low cost and instantaneously. The culture, values and traditions started to be packaged into interactive programs and beamed to masses. Soon, the multimedia platforms of mass communication became effective tools to reach out to the people and influence their way of thinking, behaviour and opinions. There was still something missing in the overall picture. A platform was still desired that could actually engage the masses among themselves. It was this need that the internet and the plethora of social networking platforms that followed catered to. Internet followed the popularity and the availability of the desktops and laptops. The rapid growth and the deep penetration of internet were ideal for the social networking sites to emerge and flourish. In a short span of time platforms like Wikipedia, Youtube, Orkut, Facebook, Twitter took over the bulk of traffic on the internet. Today one can use facebook to be in touch with one’s friends. One can share not only his thoughts there but also pictures, videos and just about anything that can be digitally archived. Blogging is in vogue and people air their opinions, ideas, thoughts and reach out to the masses with utmost ease. For the first time in the history of mankind, the physical and geographical barriers for personal interaction and social networking at large were convincingly shattered. 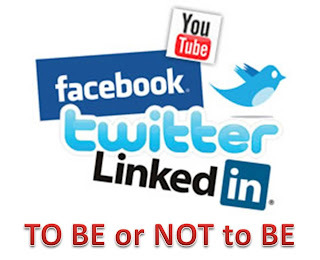 These ‘Social Networking Tools’ have literally transformed the world from an age of information deficiency to that in which ideas are to be copyrighted as it has become impossible to hide anything from anyone anymore. These social networks have created a whole world within themselves. They in collaboration with each other are today’s most comprehensive database of knowledge and most reliable source of news. They host the most preferred entertainment avenues and are proven tools to influence the likes and dislikes of the people. It is also widely accepted that they decide the fate of a community and a nation at large as demonstrated in the recently held presidential elections in USA. There are instances of HR/Administrative agencies employing SNA to determine whether or not a particular individual has criminal tendencies. Brand Managers/PR’s are another set of people who closely monitor the networks to understand how their brand/product is perceived by the masses. Not to forget the digital marketers to whom the Social Network is THE new marketplace to sell their products.